Dextromethorphan (DXM) is a cough suppressant drug that is found in cough and cold medications, including Vicks, Coricidin and Robitussin. Originally developed to replace codeine phosphate, this cough suppressant was approved by the FDA in the year 1958, and has been used as an over-the-counter antitussive ever since. When taken in high enough doses, DXM has been known to cause hallucinogenic effects similar to those caused by PCP and Ketamine. 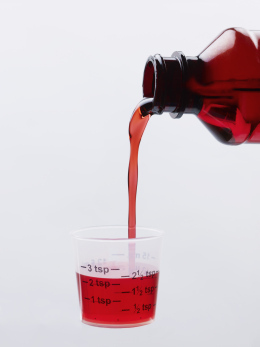 DXM is commonly used by teenagers who recreationally drink excessive amounts of cough medicine, in order to induce the hallucinogenic state it can provide. How Can DXM Help With Opiate Withdrawal? While the formal documentation of using DXM for opiate withdrawal is severely limited, there seems to be a huge following from people who have taken matters into their own hands, when trying to get rid of opiate addiction. 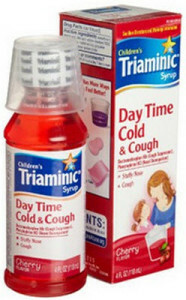 Cough medicine is the main way in which DXM users administer the drug, and although the taste is typically as awful as you would imagine it to be, the effect the drug has had on easing the pain of opiate withdrawal, has been overall positive. The benefits of using DXM for opiate withdrawal will differ from person to person, but the drug has been reported to help cure almost every symptom associated with withdrawal, including cold sweats, aches and pains, anxiety, and sleeplessness. A review study which was conducted in Germany in 2004 found that the use of NMDA antagonists, which are found in DXM, can help increase a users pain tolerance, while decreasing the effects of some of the most debilitating withdrawal symptoms. In another study conducted in 1990, the researches found that all symptoms associated with heroin withdrawal except from perspiration and vomiting, were significantly less in the group who were treat with DXM, compared to the group who were treat with Chlorpromazine, and Diazepam. Deducting what information we know from the previously mentioned studies, we have found that each patient who reported positive effects when using DXM for opiate withdrawal, were administered anywhere from 300mg, to 360mg per 24 hours. However, it is worth noting that these dosages were broken up, and were taken either hourly, or every six hours. While DXM is often used for it’s hallucinogenic properties, taking it in these smaller doses would typically keep the user below the threshold required to breakthrough to the hallucinogenic stage. A warm, whole-body buzz has been reported on several occasions, but the physical effects will depend on the users own biological predispositions. Is DXM Safe For Opiate Withdrawal? Cough Syrup Pouring into a Measuring Cup. Although research studies have proven that DXM is effective for weakening the symptoms of opiate withdrawal, it is only considered safe in smaller doses. DXM abuse is a serious problem amongst teenagers, and with some users reportedly taking in excess of 1,000mg, it may come as no surprise that several young people have died as a result of this drug. If you are interested in using DXM for opiate withdrawal, then stick within the recommended dosages, and you will be fine. Go any higher than the recommended 360mg per day, and you are doing so at your own risk. Where Can I Purchase DXM For Opiate Withdrawal? DXM is one of the active ingredients in several types of cough medicine, so purchasing one of these medications is the easiest, and safest way to get a hold of DXM. Since the only ingredient we are interested in is DXM, it is worth taking the time to find a cough medication that lists dextromethorphan HBr as the only active ingredient. One of the best examples would be Robitussin Lingering Cold Coughgels. These handy capsules contain 15mg of DXM each, so taking a couple of these per hour will help you reach your preferred dosage without the need to drink bottles of cough syrup.